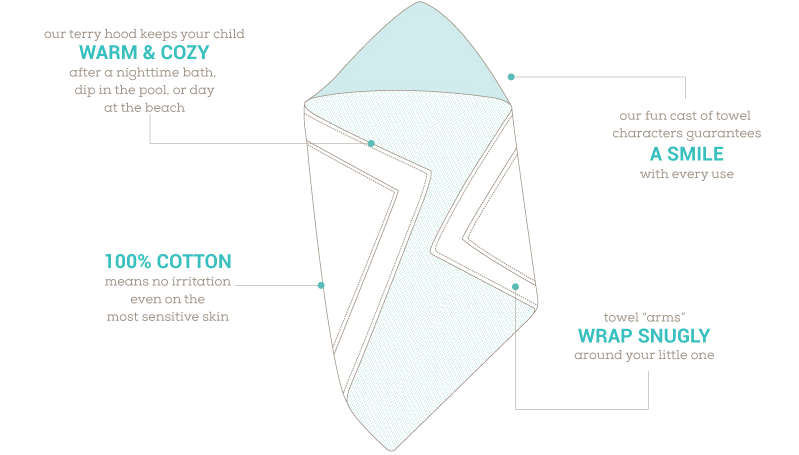 Just Born designs products with parents and babies in mind, they expertly understand the importance of comfort, safety, durability and style. 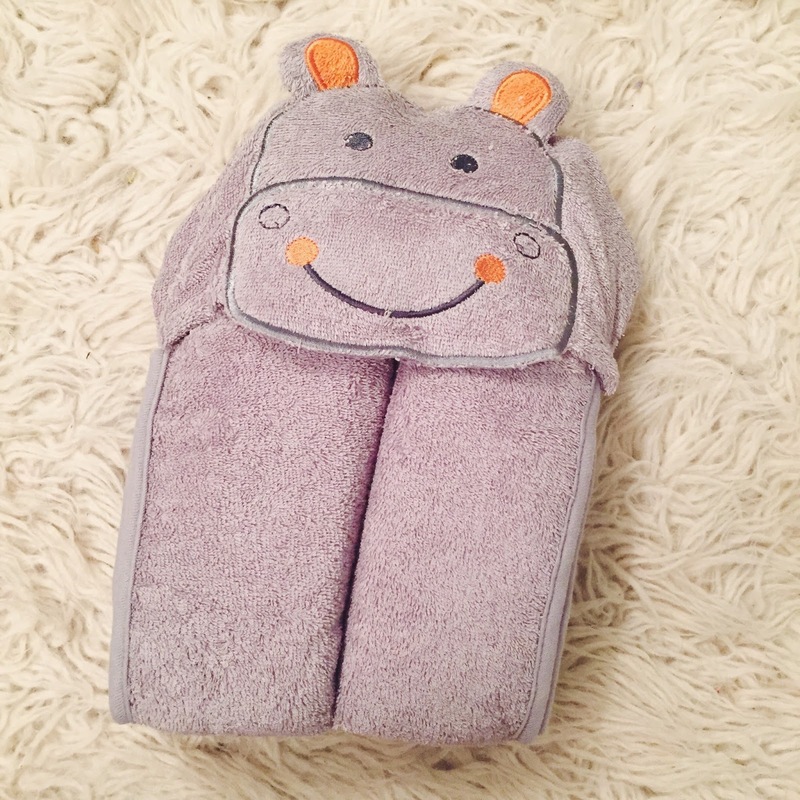 Available in a variety of styles, this plush terry cotton hippo hooded towel is super soft and warm. 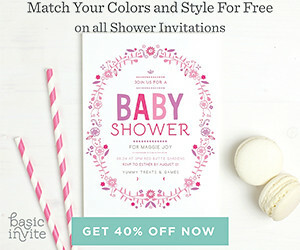 Just Born is sold at Buy Buy Baby and Babies R’ Us, and they offer a wide range of products including swaddles, wear-a-blankets, bath products and cozy blankets. Inspired by busy moms on the go, Little Teether offers a complete line of teething necklaces at amazing prices. All of their necklaces are BPA, phthalates, lead, cadmium and heavy metals free and come in a variety of bead shapes, colors and necklace styles. I became a huge fan of teething necklaces when Dylan first started teething (at a super early age). Not only did I get to wear a stylish necklace that I loved but Dylan was occupied, entertained and it helped his little sensitive gums. A win, win for both of us! 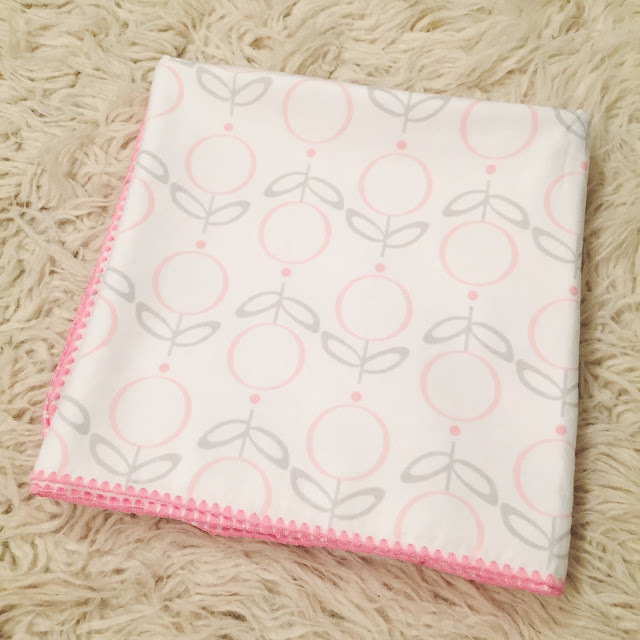 It's no secret that I love to swaddle my babies, this breathable, lightweight cotton flannel blanket by SwaddleDesigns has me so excited to do it all over again! Featuring a stylish design and an adorable decorative edge, this multi functional blanket is generously sized and can serve not only as a swaddle but as a sunshield, play mat for tummy time or as a breastfeeding cover. If you are not yet familiar with Feltman Brothers let me tell you a little bit about this iconic company. Feldman offers a distinctive collection of finely crafted, classic styled clothing and accessories for little ones. Founded in 1916, Feltman's has a long history of providing high quality, exquisitely styled, hand embroidered clothing for baby boys and girls. Feltman products include take home outfits, layette, special occasion gowns and accessories and holiday wear and much more! 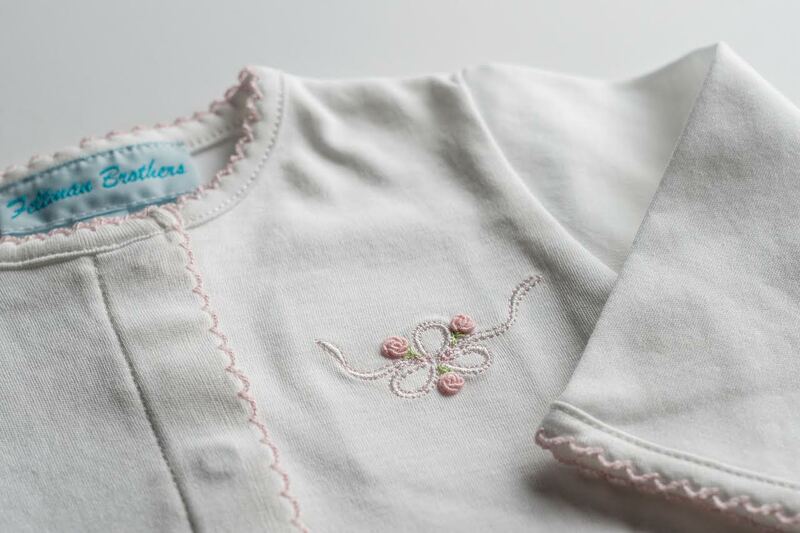 Made from the softest Pima cotton - seriously, I've never felt anything so soft in my life - this adorable romper features a delicate hand embroidered bow and roses, perfect for a little girl. 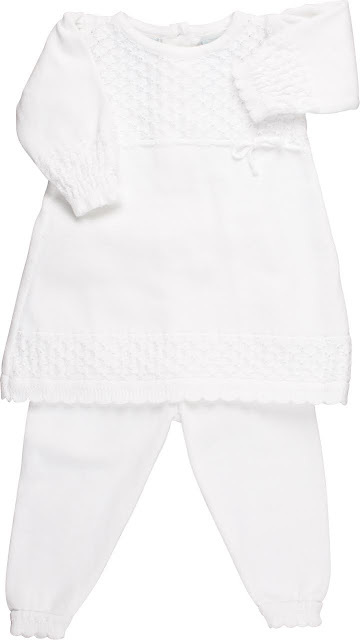 This adorable 100% cotton knit sweater set is perfect for any special occasion. The top of the tunic features popcorn design knitting with a delicate ribbon interlaced and tied in a bow. The scallopped edging on the sleeves and bottom of the pants add just the right touch of elegance. Absolutely adorable items. Good luck with the rest of your pregnancy and delivery. Excellent choice of swaddling blanket! They always have such fun prints. Baby products are always at the priority of concern for a mother. so choosing comfortable clothes with good design is a wise step. Good choice you have.